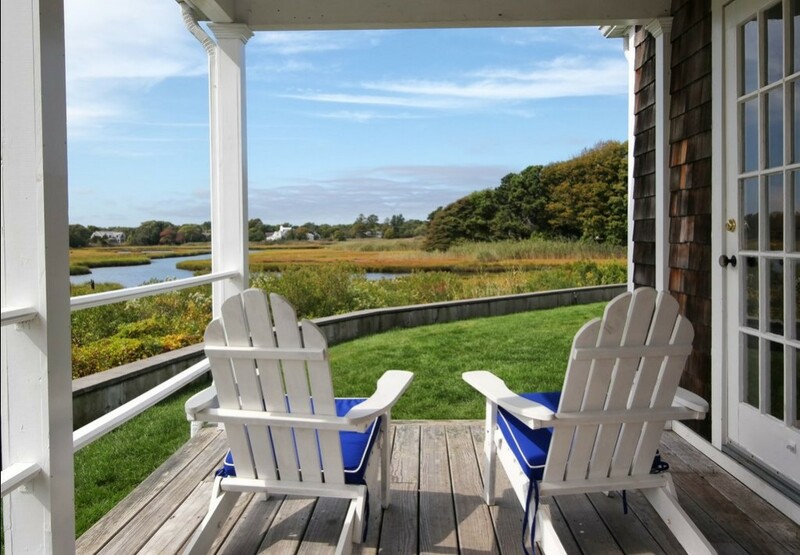 Summer’s officially here — and with it, visions of the Cape. 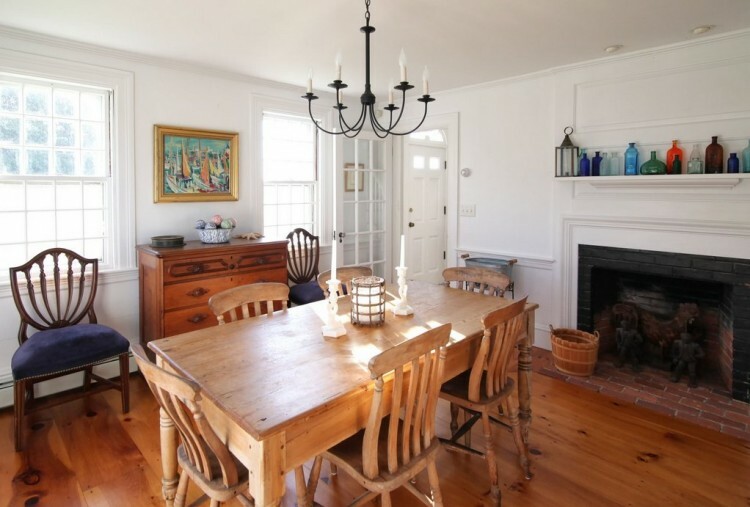 This week’s lust-worthy listing is a big-but-somehow-quaint cottage near Craigville Beach in Centerville, where ocean breezes keep things cool and comfortable even as the rest of us sweat through our underwear on the streets of Boston. I love living near the beach; in fact, I’m not sure I could live away from it at this point. But a lot of folks insist on buying beachfront property, even though a) it costs much more and b) it’s far more likely to, you know, fall into the ocean during a hurricane. I don’t understand this obsession. I don’t need to live ON the beach. I don’t even want to. I want to smell the ocean, and hear fog horns in the distance, and enjoy the cooler temperatures in summer. I don’t really care if I have to walk a few blocks to actually take a swim. And I certainly don’t want my home floating off to France after a particularly bad series of storms. This home is waterfront, technically — but as you can tell, it’s more marsh-front than oceanfront, a short walk through the dunes to beautiful Craigville Beach. And that’s quite all right with me. And anyway, this house isn’t just about the beach. 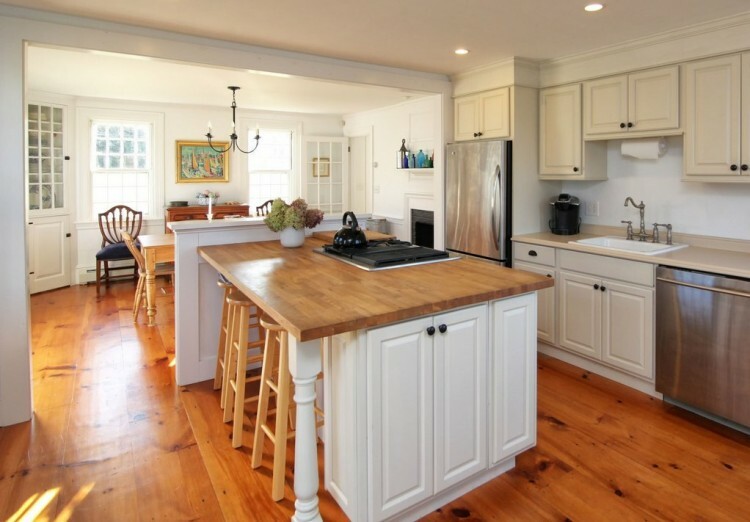 Look at that kitchen, and those wide pine floors. And wait until you see the dining room. If you don’t want a fireplace in your kitchen or dining room, then I don’t know what to tell you. Minus: Two commas in the price! Address: 1199 Craigville Beach Road, Centerville, Mass. 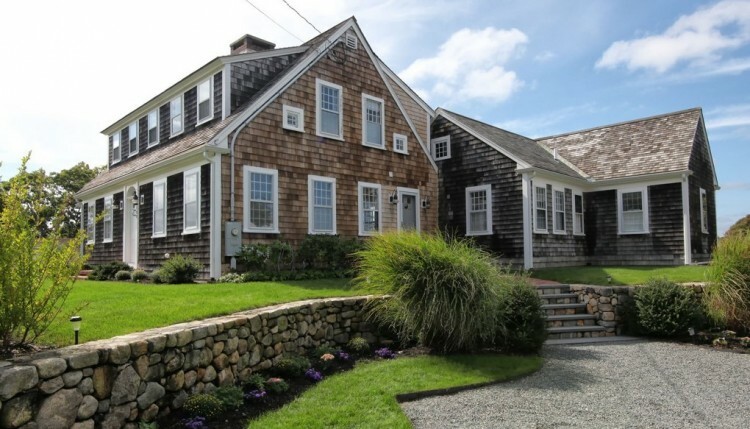 Verdict: This is a gorgeous area of the Cape, but there’s a reason this home has been on the market for more than half a year: $1.4 million is an insane amount to pay for a first home, much less a vacation home. But if you’ve got some Kennedy cash just laying around, what are you waiting for? Great list! One beach that I’d like to add is South Cape Beach in Mashpee. This gorgeous sctreth of sand on Vineyard Sound is one of our family’s favorites. The nearly mile-long beach is perfect for walking, sunning and swimming. And if you’re there when the Striped Bass and Bluefish are feeding, the surf fishing is fantastic. Backed by the stunning lands and walking trails of the Waquoit Bay National Bay Estuarine Research Reserve, South Cape Beach is a must-visit for nature lovers, too!